My thoughts on “I can’t say NO!!!!!! !”, the most recent single from Brand-new Idol Society. 1. I can’t say NO!!!!!!! Controversy creates interest and said interest also brings cash to the table as an added bonus. Brand-new Idol Society are no strangers to controversy, having used it as a marketing tool since the group’s inception getting on for a decade ago now (wow, that’s scary to think about). They’ve even been using it recently in fact, with matriarch of the group Pour Lui temporarily being suspended for failing a dieting challenge. There were a lot of people unhappy about this latest stunt (which WASN’T REAL) and it even made the news on Huffington Post’s Japanese website. The fact remains though, people are still talking about BiS and all forms of publicity are good publicity. Getting back on track, the single that will be the feature of today’s article was actually supposed to come out back in August. However, BiS member Peri Ubu was hospitalized around that time with a stomach illness which saw the single’s release date and promotional tour scrapped. No such problems when it came to Pour Lui’s suspension however, which should probably tell you all you need to know about that. Regardless, Peri Ubu is now back and in good health so things return to some semblance of normality in the BiS camp…except for another round of impending auditions anyway. “The single Garry, focus on the single!”. Okay, okay so we have the long awaited kinda sorta single “I can’t say NO!!!!!! !” from Brand-new Idol Society that I guess you’re here to read my thoughts on for some reason. I say kinda sorta single because it’s one of these weird “one-coin” deals where it only costs 500 yen and the contents reflect that price. You of course get the brand new a-side, which is what most people are going to be interested. Then like every other “one-coin” release from WACK, it also has a re-recorded b-side that features a song from BiS’s extensive back catalog, in this case “Fly”. Let’s check them out. “I can’t say NO!!!!!! !” opens with drumming that’s not totally dissimilar to the drumming featured on previous BiS single “SOCiALiSM” (review here). From there however, things take a bit of a different track. I always struggle to describe songs like this but I guess maybe a more uptempo Vaudeville style instrumental is a good way of doing so. For a lot of people, this song isn’t quite as strong as “SOCiALiSM” which I can understand, but I personally like it a whole lot. If nothing else, I think we can all agree that the chorus is pretty darn good. I also think that while maybe “SOCiALiSM” is the more instantly appealing, “I can’t say NO!!!!!! !” does a much better job of showcasing each of the individual members’ vocal talents. Everyone definitely gets their chance to shine on this one, and “New BiS” appears to be really coming into its own. Our b-side for this single is as previously mentioned, a rerecorded version of the BiS classic “Fly”. There’s a pretty obvious difference in the instrumental right out of the gate and it’s probably due to the use of what sounds like real instruments this time around. This new version of the song sounds a bit more “raw” or “stripped back” if you will. It’s a bit more rough around the edges, a bit like this current BiS line-up. On the vocal side of things, Pour Lui’s contribution remains pretty much unchanged but it’s all change everywhere else. I get it, everyone loves the “iconic” BiS line-up but you can’t honestly listen to this re-recording and tell me the new line-up hasn’t done a damn good job of things. Let’s dig out some more classics from the back catalog and see what these girls can do with them too. So in the end we got a pretty cool new song and a solid rerecord of an old one. I could think of a bunch of worse ways to spend 500 yen, like in the UFO catchers in Akihabara for example *cough*. You can also pick this up digitally from places like OTOTOY or iTunes JP so for a couple bucks you might as well give it a shot. You know, if you can all put your intense hatred of Watanabe to one side for a second. 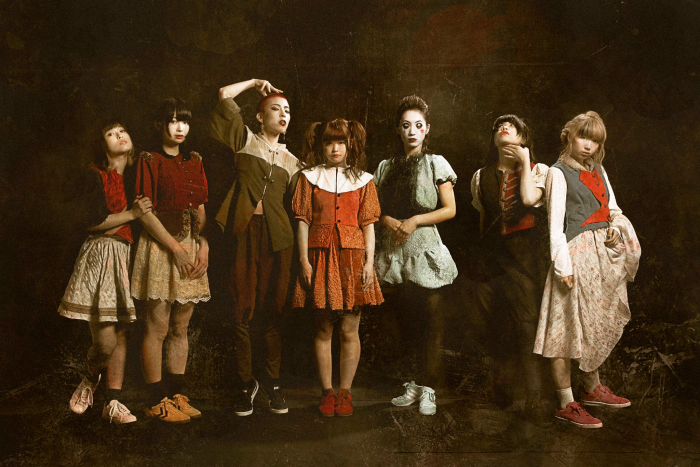 BiS recently announced that they’ve signed a major label record deal under…no, not Avex actually. They’ve inked a deal with Crown Records who count the likes of PASSPO and Band-Maid among their talent pool. I’d expect a new CD of some description to be announced shortly as BiS will be wrapping up their current touring commitments soon and beginning to plan for their next tour which I believe kicks off in January. Exciting times for us BiS fans, that’s for sure.